Haven't been around for a little while and I apologise for my lack of posting all of a sudden. Things got a little hectic with my personal life. Anyway I'm here to share with you today only an EOTD since my skin being a bit out of line lately. 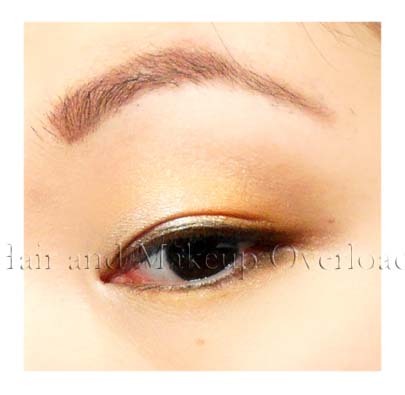 soft, wearable look that incorporates some warm colours together. Very pretty!! Hope all is well! Lovely Eotd~ soft and pretty! Haha you have really been loving orange a lot lately, and for good reason. Also, saw your professional photos, I LOVE them! Very pretty; I think the golden hair accessory thingy was a nice touch as well.